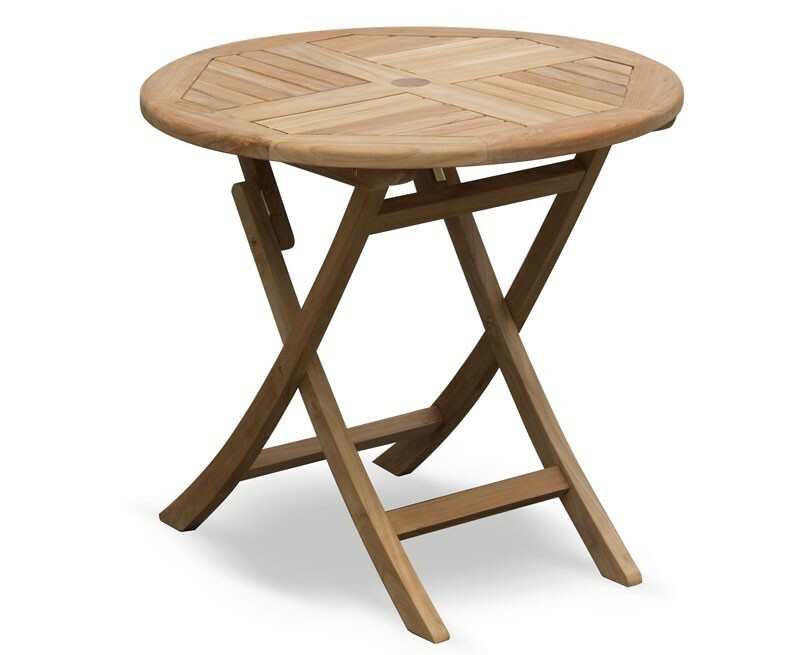 Combining the benefits of functionality and style this Suffolk teak round folding garden table provides plenty of options for garden entertainment and al fresco dining. 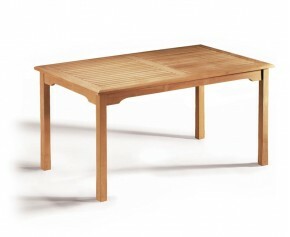 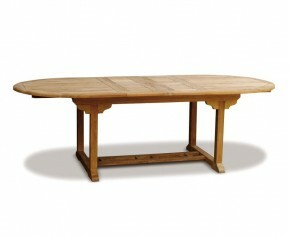 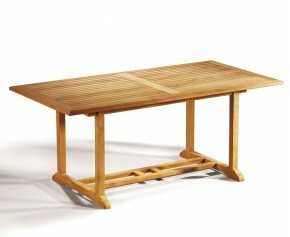 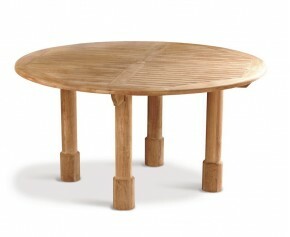 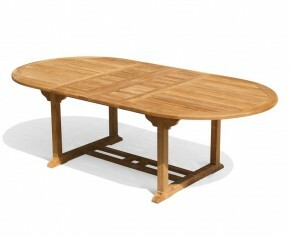 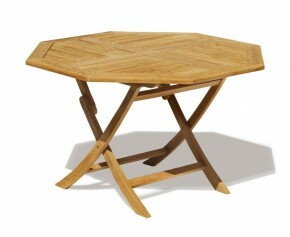 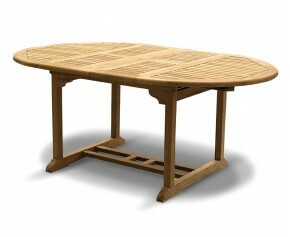 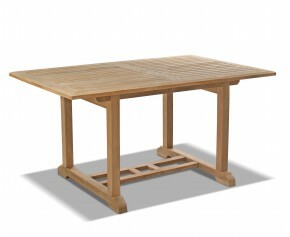 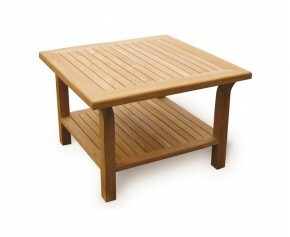 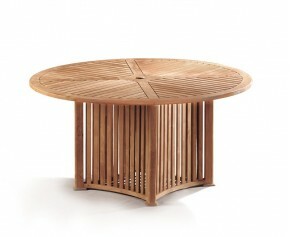 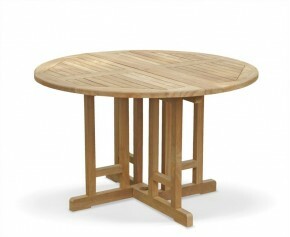 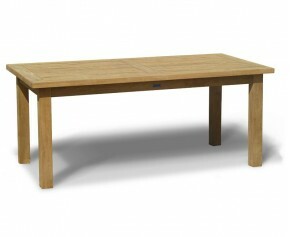 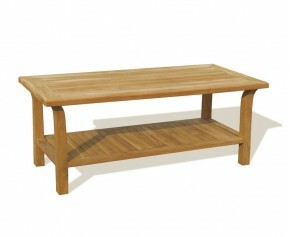 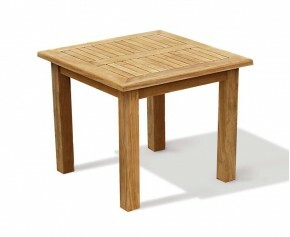 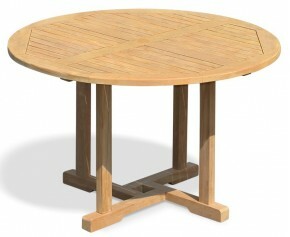 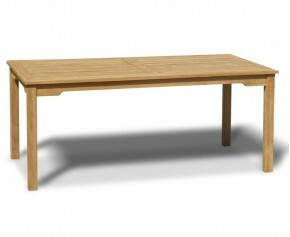 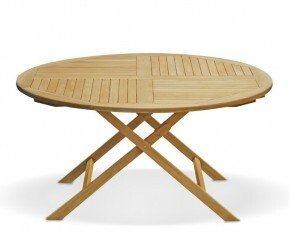 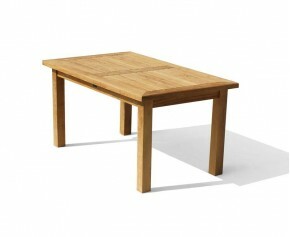 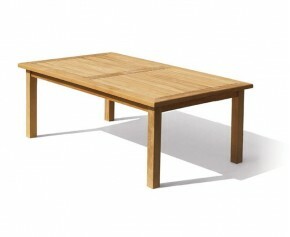 Equally suitable for commercial and domestic use, this teak round folding garden table has been expertly manufactured in plantation grown, genuine Grade-A teak for long life and aesthetic appeal. 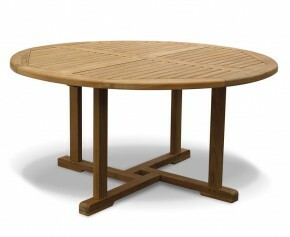 Offering a finely sanded smooth finish, this Suffolk teak round folding garden table creates a stunning focal point when teamed up as part of a garden dining set and can be left outdoors all year round with minimal maintenance. 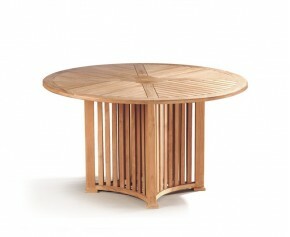 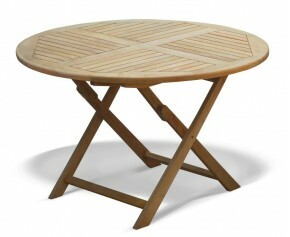 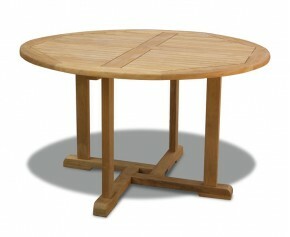 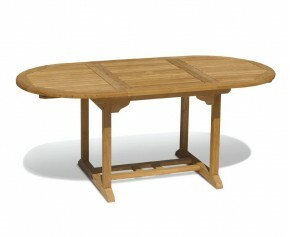 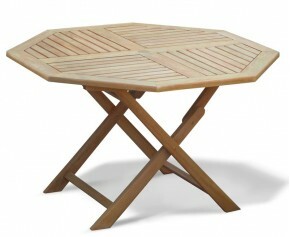 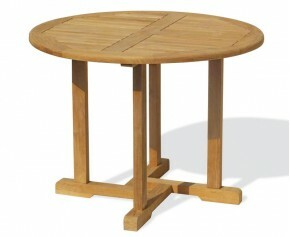 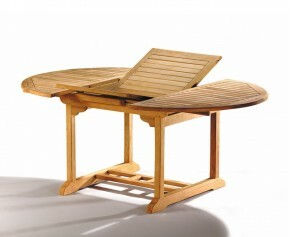 This Suffolk teak round folding garden table features a predrilled parasol hole with a flush fitting insert and will be delivered fully assembled for your immediate enjoyment. 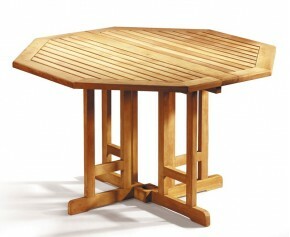 - Robustly constructed in the traditional manner using tight fitting, glued mortise and tenon joints, which are secured with solid brass fittings.